You are here: Home / Disney / Disney Quotes / Happy Birthday Mickey and Minnie! Today in 1928 Mickey Mouse made his official debut in Steamboat Willie and he is now 87 years old along with his girlfriend Minnie. 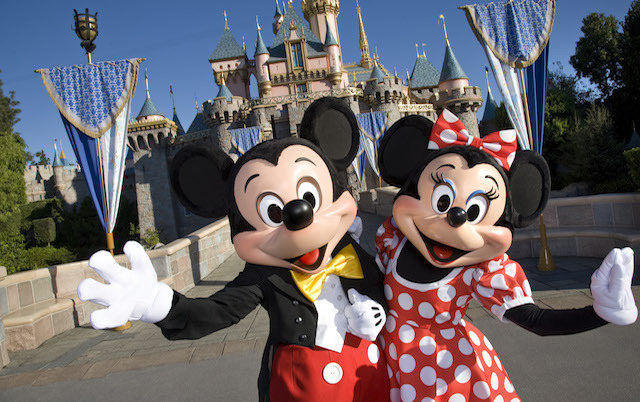 Minnie and Mickey were created by Walt Disney and Ub Iwerks. Walt was the original voice of Mickey from 1928-1947 then again from 1955-1959. There have been debates as to how the name Mickey Mouse came to be. Originally he was called Mortimer Mouse. Reportedly Walt’s wife Lillian said she liked the name Mickey more, as Mortimer sounded too pompous. But Mickey Rooney had seen Walt in 1920 and he says that he was the inspiration for the name. Walt being the smart man he was, sided with his wife Lillian on this matter. No matter where the inspiration for the names for Mickey and Minnie (originally Minerva) came from, they are now known worldwide. Are You Princess Enough for a Suite?